This wall hanging is functional as well as amazing to look at. 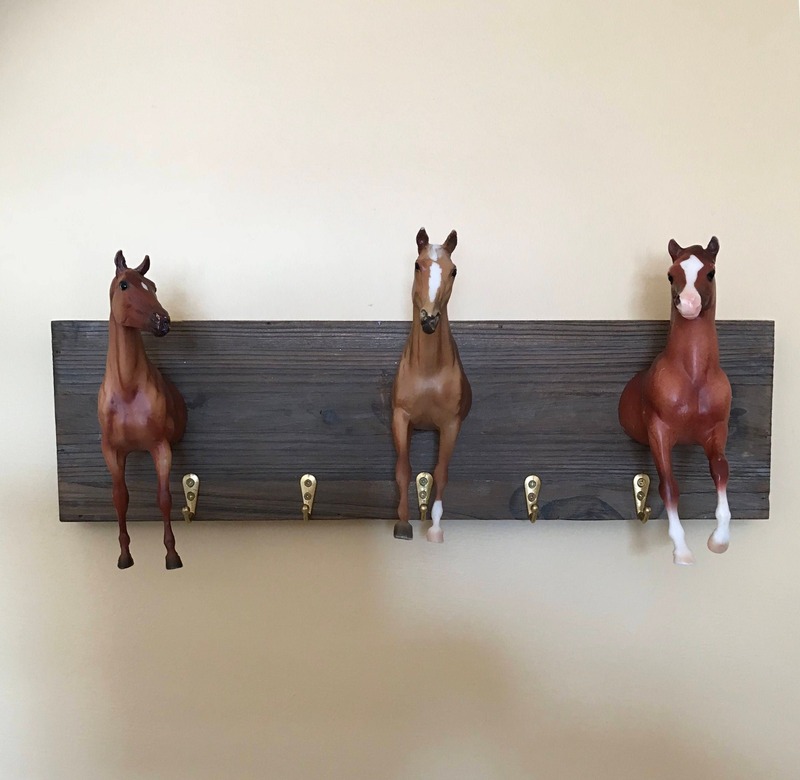 Here we have 3 repurposed Breyer Horses securely attached to a mounting made with barn wood pieces. 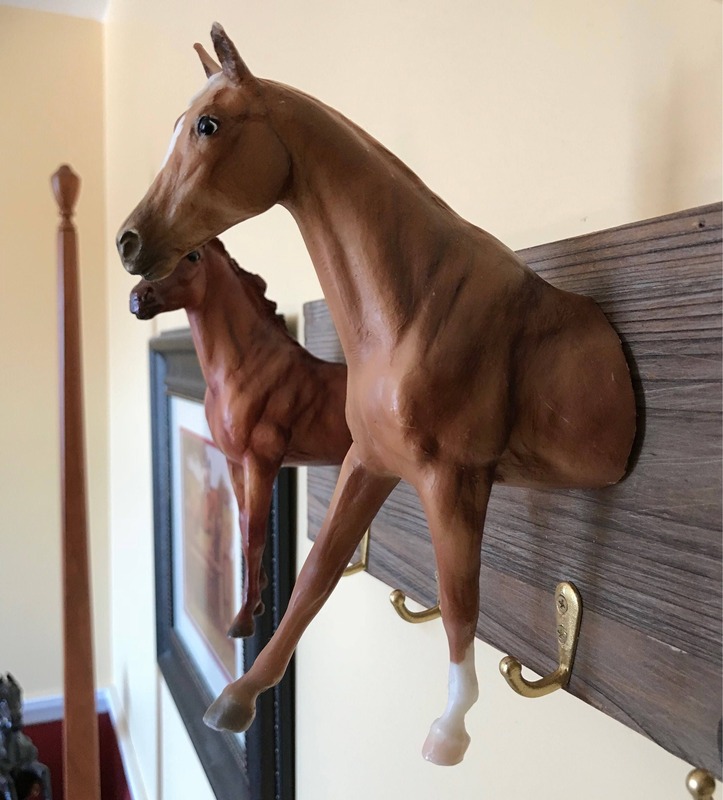 It has 5 gold hooks in order to hang items without covering the horses. 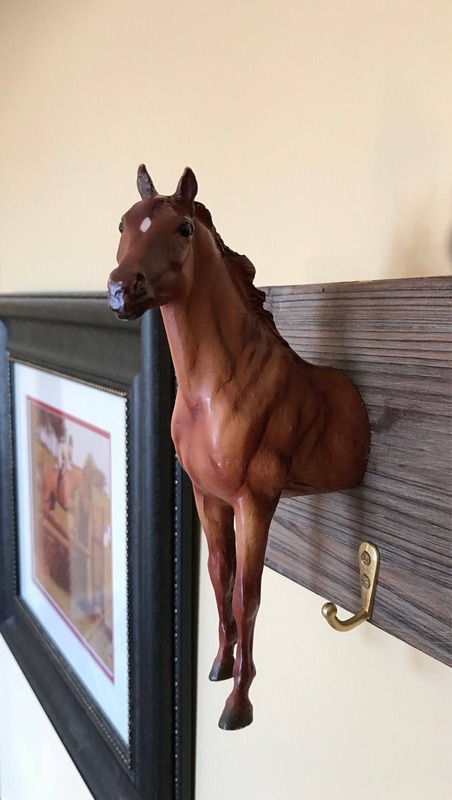 This piece can also be made with bridle hanging hardware, bigger clothing hooks and I can also design a ribbon hanger to show off your accomplishments. They are great for every room in your home. 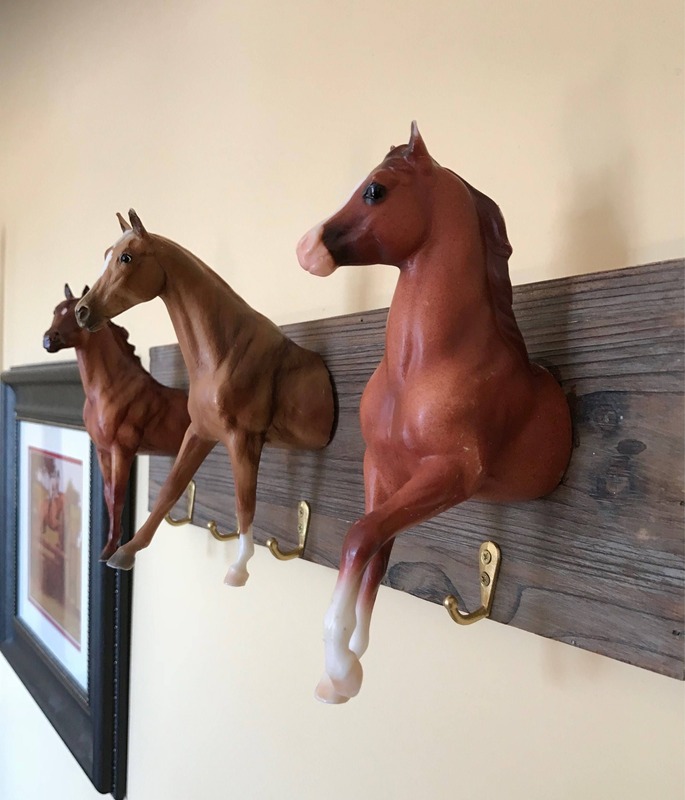 These pieces make great gifts for the equestrian in your life or if you just love horses. This is a one-of-a-kind piece. I would love to create a custom design for you using a particular horse or breed. If you would like to send me yours, the price will be adjusted.